Rotterdam is big city located in South Holland, a province of the Netherlands. Dubbed as the “gateway to Europe” and consequently, Europe’s “gateway to the world”, the city traces its history back to 1270 when the people constructed a dam by the river Rotte for safety. Strategically situated within Rhine-Meuse-Scheldt river delta at the North Sea, the city has the largest port in Europe and is the country’s second most populated, next to Amsterdam. My aunt and uncle kindly took me and my grandma on a tour to the city center during my visit in the Netherlands. 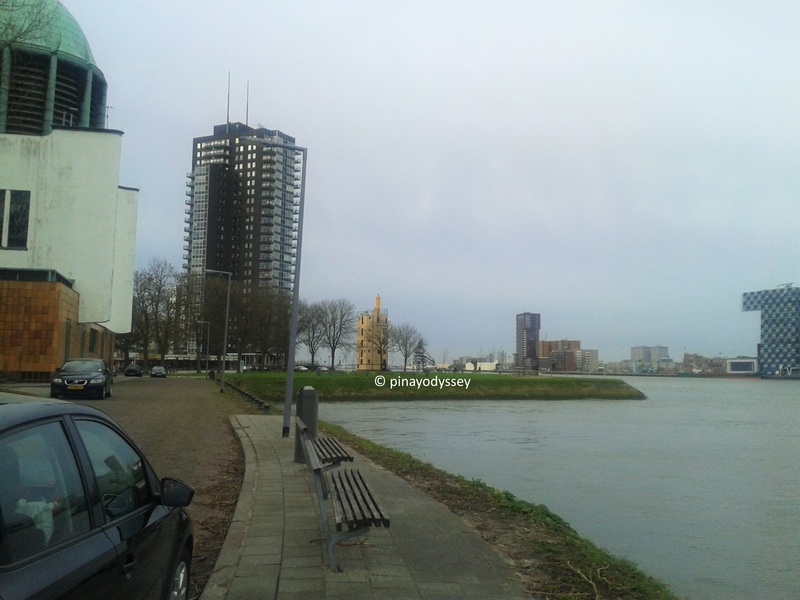 I was awed by how big the River Maas/Meuse is, that big ships could actually pass through! With a total length of 925 kms, Maas is considered as a major European river, flowing from France to Belgium to the Netherlands and out to the North Sea. Did you know that the first fossils of the Cretaceous sea reptile Mosasaur was found by the said river in 1780? Rotterdam has grown from a largely flooded city into a major economic center, thanks to the port of Rotterdam, which is the largest cargo port in Europe and the 10th largest in the world. Dutch innovativeness was key to building lots of dikes and dams to protect the city (and the whole country) from floods. I guess Manila and Rotterdam share the same situation, as most part of the Dutch city lies below sea level. 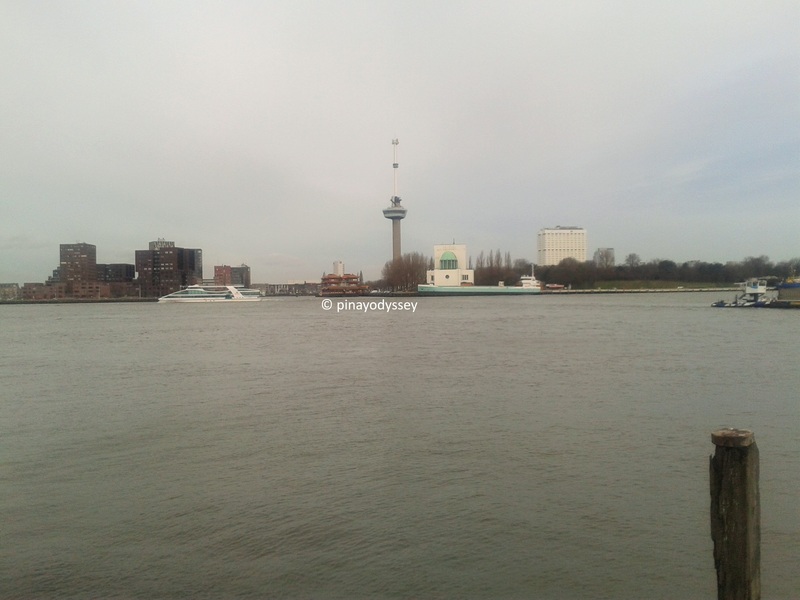 As most river cities, Rotterdam is divided into two by the River Maas. The city center is located in the northern part. 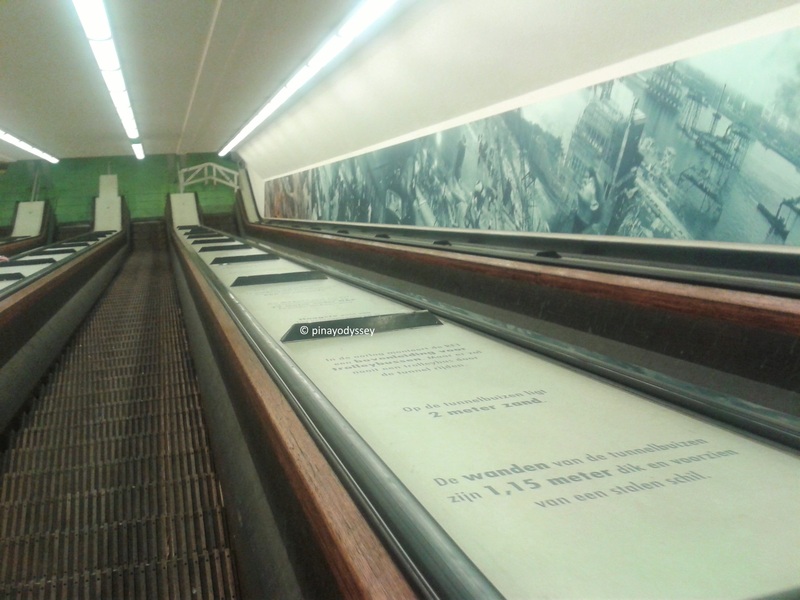 Nevertheless, it is easy to go to the other side by means of bridges, one of which is the famous Erasmus Bridge, and tunnels. It is important to note that the Dutch renaissance humanist, Catholic priest, social critic, teacher and theologian Desiderius Erasmus (1466-1536) was born in Rotterdam. (Or in Gouda, as another historian suggests.) And because of that, the city’s major university, the Erasmus University Rotterdam (EUR) was named after him. 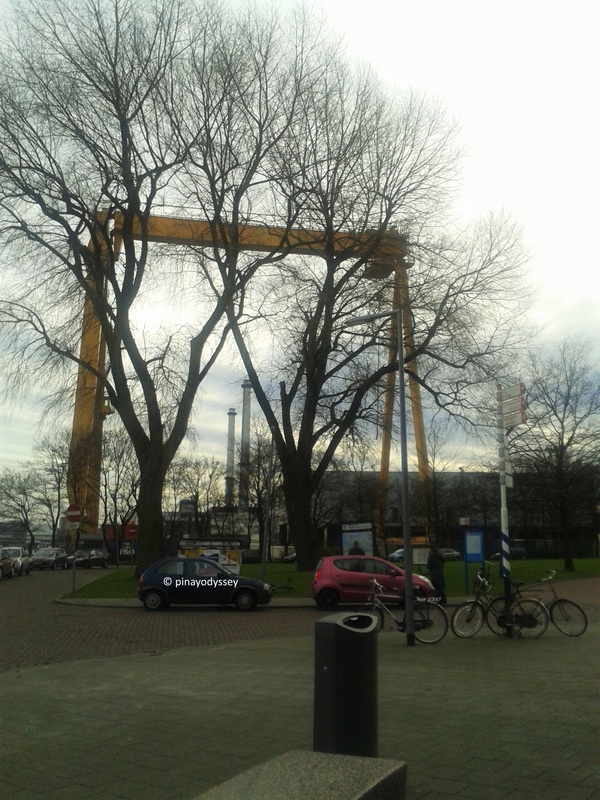 A bridge was also built to honor the old man, the Erasmusbrug, a cable-stayed and bascule bridge. You make me miss Rotterdam so much! The tunnel is a must to try. 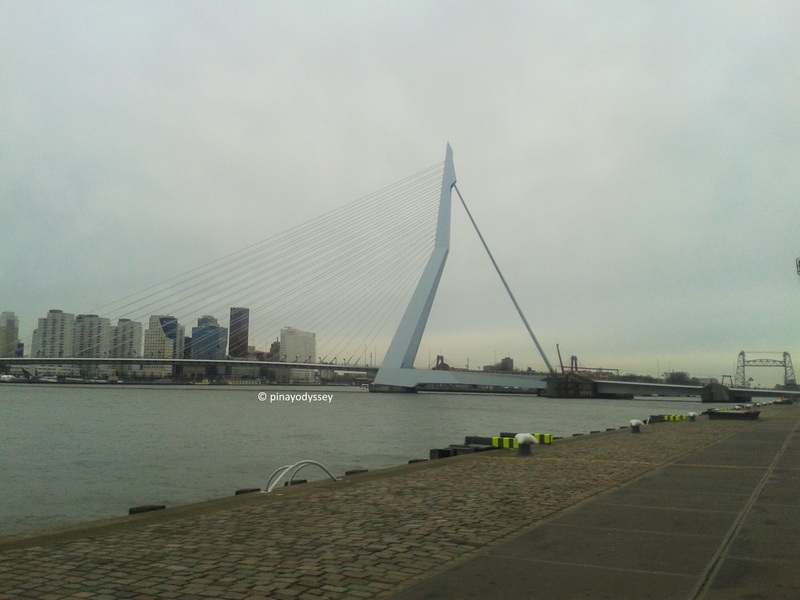 the Erasmus Bridge has a special symbol for me as a student. Hehe. Wish to come back there soon! Pretty interesting tunnel. But for me, I find it too creepy. It’s like the one you see in suspense movies. I also feel I’m getting claustrophobic seeing it. I, too, would love to see that tunnel under the river. It is thrilling to walk under knowing that everything surrounding you is a body of water. And the tunnel looks long and well-lit. ihihi, I wonder if something like that would be constructed here in our country. I hope it will be maintained in good condition and no vandalism and the like. 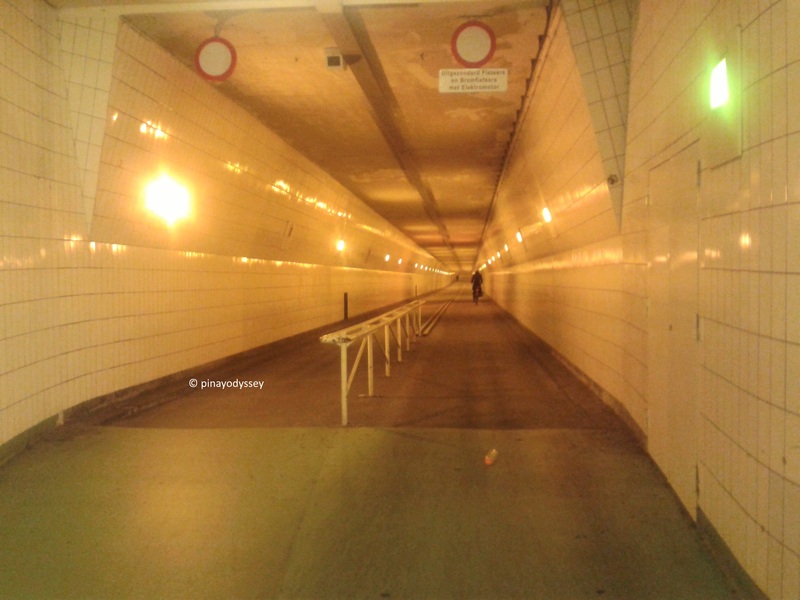 When I saw the tunnel, it reminded me of some horror films. Lol. It feels a bit creepy. But it does look interesting. I think if I get there, I will just take a picture at the entrance and leave.haha! As you know, I live in the Netherlands :). I love Rotterdam. I don’t live close to Rotterdam (about 2.5 hours by car). But I’m in Rotterdam usually a few times every year. Also because I need to go there for work sometimes. But then I only see the office haha and almost nothing else. 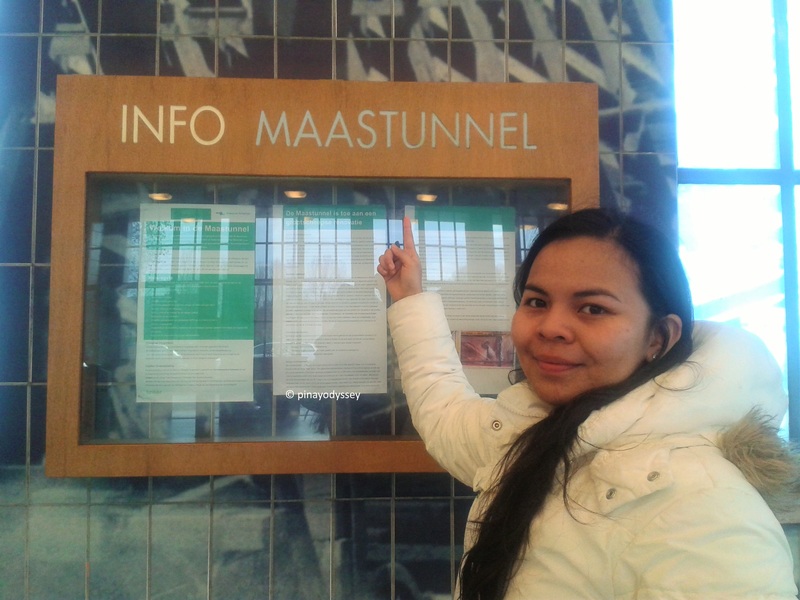 I even haven’t been in the Maastunnel yet. But I like it. When I go the next time, I’m going to try to save some time to check it out. The tunnel is so cool and it would be and adventure in its own way. We have never been to Holland but plan it as part of ourEuropean swing in 2017. Rotterdam was not on our list of cities but perhaps we should add it. We planned on the northern areas but since we are going to France from there it would be on the way and a great treat to visit. 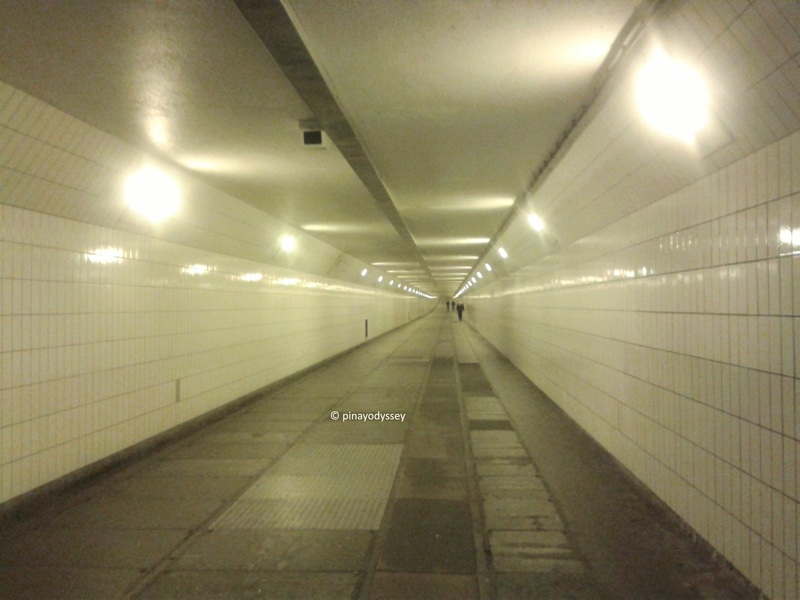 Never heard about Rotterdam but the Maastunnel is worth an experience. I can’t cross that alone though. Parang weird ang feeling when you go in the tunnel knowing what is above, there must be a sense of excitement too. LOL. Minsan nakikita ko ang name ng city, pero now ko lang nalaman na it is a souther city of Holland pala. So good to know. Parang hindi talaga matao diyan ano?